I am still around, it is just that I am busy...busy. I am doing too many things and I can't keep up. I might have to stop doing something but I don't want to!! Anyway, I made this card using my Birthday Cat freebie. You can have it when you subscribe to my newsletter. I used Prismacolor pencils and mineral spirits. With this technique I don't usually use a lot of pencils, I like to have it soft and it is a coloring method if you are in a hurry and don't have too much pencils to color. To color this I used these colors: PC943, PC1003, PC1095, PC1084, PC905 and PC1092. I used parcial embossing and the sentiment is from Stampendous. I cut the stars with my Cricut and added some sparkle (at least this time you can notice it in the photo). Hello!!! That little box is another container where I added the mineral spirits. I use odorless Mona Lisa mineral spirits, but the bottle is very inconvenient to use it so I pour a little in a little box with some foam. This way the foam is wet instead of have the liquid alone in the box. I hope this helps. Thank you for watching! Such an adorable image! Love that embossed background. Thank you for joining in the Anything Goes challenge at Lil Patch of Crafty Friends. Beautiful colors, I love card details. Great embossed background. 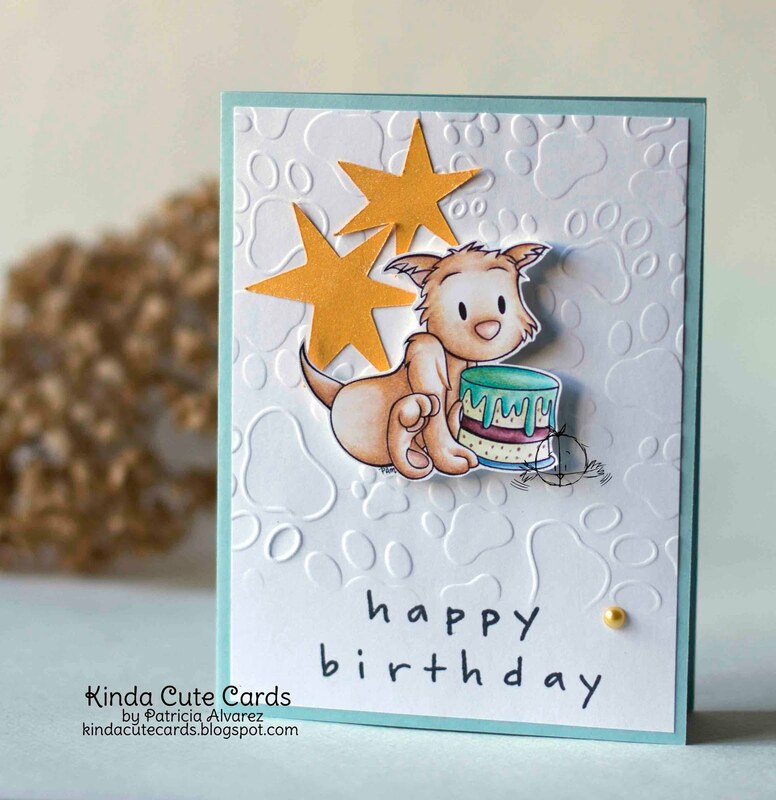 Thank you for joining the CWAA challenge and sharing this beautiful card with us.